The V&A at Dundee will be an international centre of design for the widest public, housed in a world-class building at the heart of Dundee’s waterfront. It will show major exhibitions of international design, celebrate and promote the care of our own heritage, inspire and help develop contemporary talent, and encourage design innovation for the future. The McManus Gallery has been at the heart of art and culture in the city since its opening in 1867 as the Albert Institute for Science, Literature and the Arts. Verdant Works is a tale of two cities – both of them Dundee. For some it was long working hours, poor pay and ill health. For others it was a city of opportunity and wealth. Travel back over 100 years to an era when jute was king. By the time the High Mill of Verdant Works was built in 1833 Britain’s Industrial Revolution was reaching its climax. England’s ‘dark satanic mills’ were in full production, and in Scotland fortunes were being made and then multiplied a hundred fold. Towards the end of the Victorian era Scotland was producing a third of Britain’s railway engines, a third of its steel, a third of Britain’s ships and half of its engines. It is against this historical backdrop that the incredible story of jute in Dundee was played out. Visit Dundee’s most famous ship, the RSS Discovery, and follow in the footsteps of Captain Scott and his heroic crew as you’re taken on a voyage into the wilderness of Antarctica at Discovery Point. Launched in 1824, as a 46 gun frigate, now the oldest British-built ship afloat and the last to have survived from the golden age of sail almost completely as she was built. A brilliant visit for everyone, great for families. Four decks – packed with authentic atmosphere. Dundee Contemporary Arts (DCA) ID Scotland’s largest centre for contemporary art and culture with an extensive, free exhibition programme, creative courses and inspiring shop. 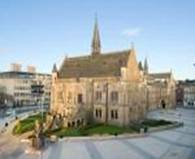 Dundee’s only city centre cinema – offering latest releases, world cinema, arthouse movies. 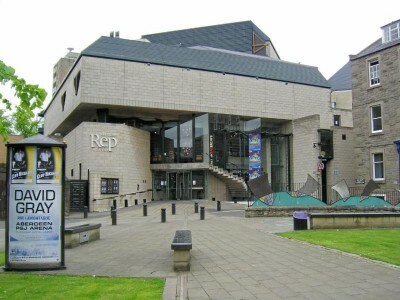 Dundee Rep Theatre is a world class performing arts organisation made up of: Dundee Rep Ensemble, Scottish Dance Theatre, Dundee Rep Creative Learning and visiting companies.